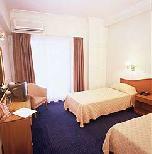 Welcome to Pan hotel, a family hotel well known for its hospitality and friendly staff. 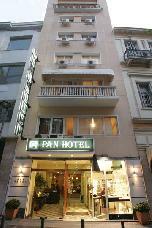 Pan hotel is located in the best city's center. Syntagma Square (constitution square), the best city's center, ideal for business and pleasure, the Parliament, the Tomb of the unknown Soldier, the National Park (ideal for children and joggers), Greek and foreign banks, the post office, selected shopping area, Plaka (the old city of Athens, picturesque district, full of restaurants, tavernas etc. ), churches of different religions, telecom office, express bus service to the airport from Syntagma, underground (metro) Syntagma station etc. 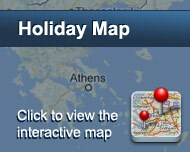 are all within a stone's throw distance from the hotel. 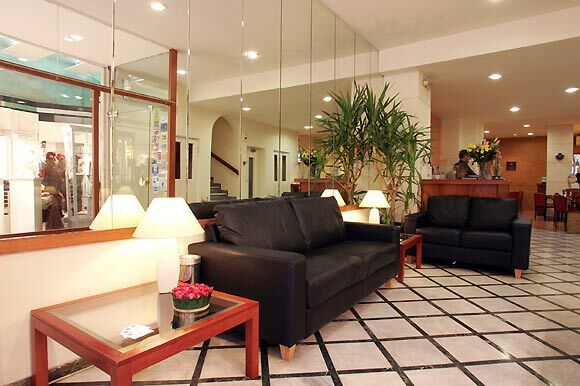 Hotel also provides to its clients cafeteria, safe boxes, room service, free luggage storage and ADSL wireless connection in the cafeteria. Είστε ιδιοκτήτης ή διευθυντής στο PAN HOTEL; Εγγραφείτε τώρα για δωρεάν εργαλεία, που μπορείτε να χρησιμοποιήσετε για να βελτιώσετε την καταχώρησή σας και να συνδέσετε την ιστοσελίδα σας και το σύστημα κρατήσεών σας.